JSONtoXML is application to convert huge JSON files to XML format. Game designed for kids who are 4 to 7 years old. Your kid is going to practice adding and subtracting in this game. There are hundreds of exercises to calculate. Each level is rewarded with a cute picture. This app makes it easy to run many concurrent SQL queries against a database and measure the performance of a specific database configuration. XMLtoJSON is application to convert huge XML files to JSON format. SpyLab presents a new perspective on quick and easy extraction of contact information from any resource. 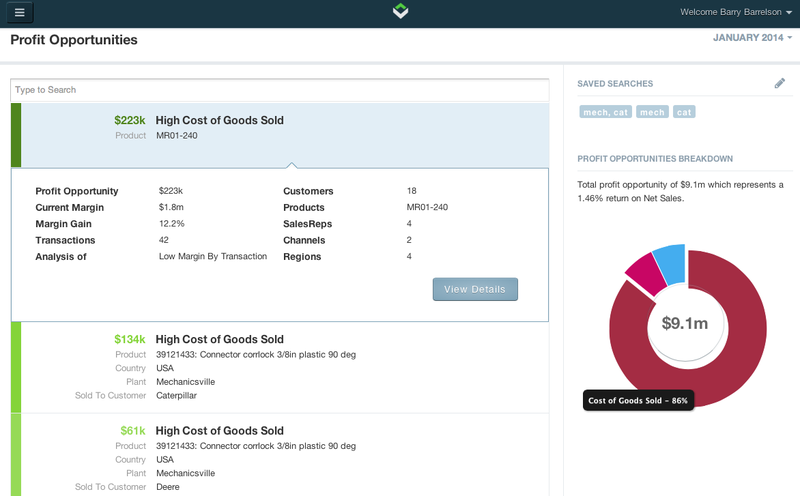 Vendavo Profit Analyzer is in-memory analytics tool to identify profit trends and opportunities for improvement. I worked as Software Engineer on backend for this product. SvgLab is app to preview, edit and export SVG images to PNG, JPEG, TIFF and PDF formats. SvgLab supports mass exports. Java presentation tool, which allows instant execution of Java code and mix it with presentation slides written in HTML. Groovy presentation tool, which allows instant execution of Groovy code. Mac utility app for JSON, XML, SQL and many other formats. When you insert a text then the application identifies the text and suggests what operation can be performed, like formatting, validation, clean up, etc. Book about integration of Grails 2.x and Vaadin 7. TellGif is web page to share funny gifs, irony, anger or happiness via GIFs with a custom messages. Automated price-optimization solution that allows users to upload data from their CRM or ERP systems and see areas where they are not optimizing on price, as well as what actions they should take to improve margins. I was working on backend for this product. Helps to catch, track and resolve failures in your apps and fix defects before customers complain. I was working as Software Engineer enhancing and stabilizing the platform. The Vaadin 7 Cookbook starts with the creation of a project in various tools and languages then moves to components, layouting, events, data binding, and custom widgets. The quality and stability of the application, testing the Vaadin code, and the data management of Vaadin is also explained in detail. This book is focused on learning and understanding how to work with Vaadin as well as trying out Vaadin with other technologies such as Grails. Score board for Floorball which you can run on your computer. Grails 1.x and 2.x plugin integrating Vaadin 6 & 7 into the Grails project. Community of people who are interested in Java related technologies. System Limatte enables to start on-line communication with a customer in the moment of leaving the web. Limatte is based on technology "the Voice of the Customer" and provides our clients with highly relevant and appropriate data about reasons of behavior, opinion on concrete products or services and also about customers' preferences and needs. Project led by Technical University Ostrava and U&Sluno company. We have developed a portal for cluster of IT companies to connect business with colleges and students.